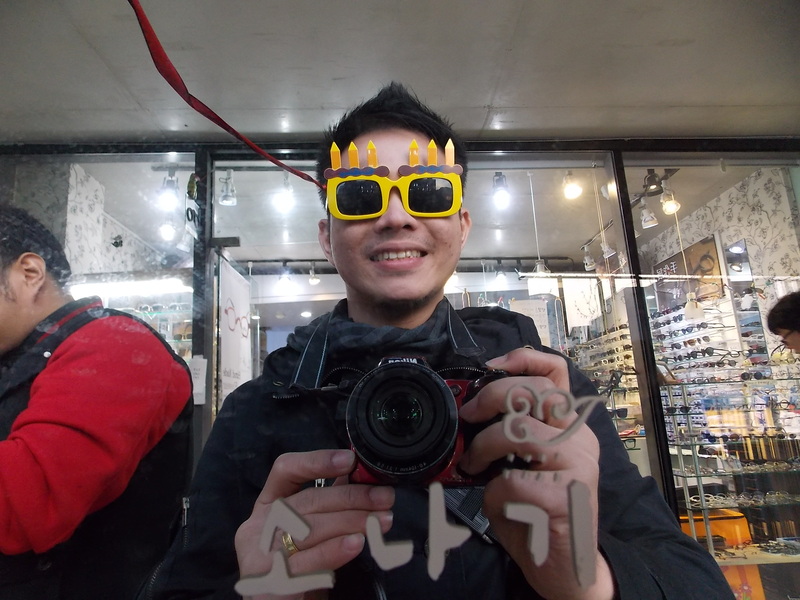 Probably one of the best time I had in Seoul was the chillax “No Particular Go See” day. We woke up a bit late and just spent the morning in our backpackers’ lounge to chit chat with other guests. 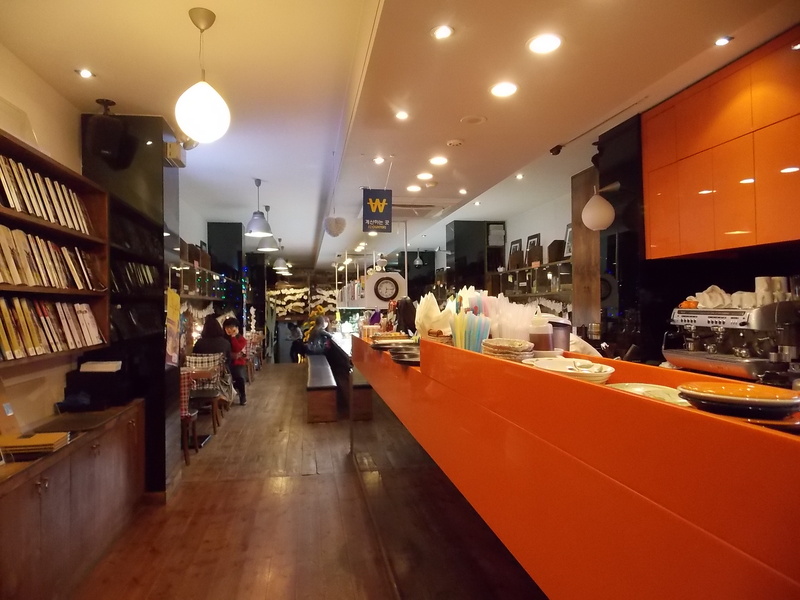 In the afternoon, we went strolling on Seoul’s university belt near Hongdae , which also has a lot of bookstores, quaint shops and boutiques. 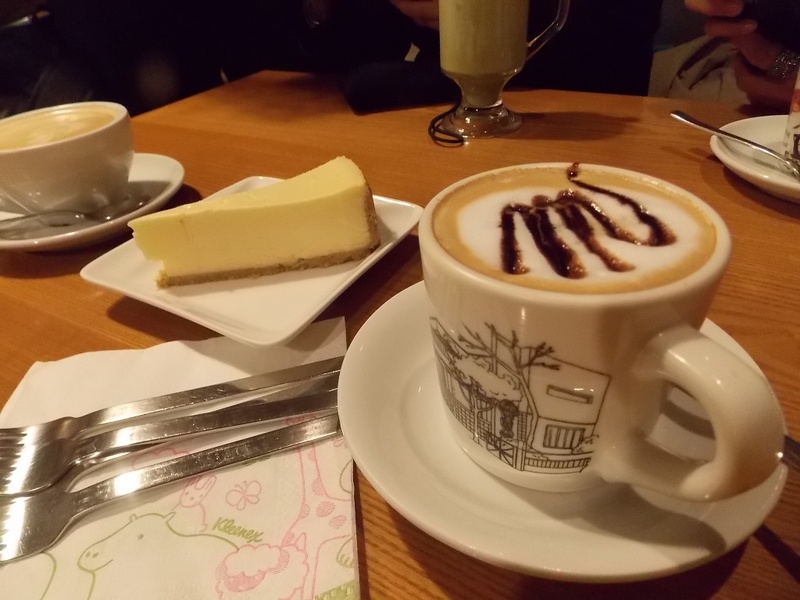 The afternoon ended up into a Cafe Hopping experience. 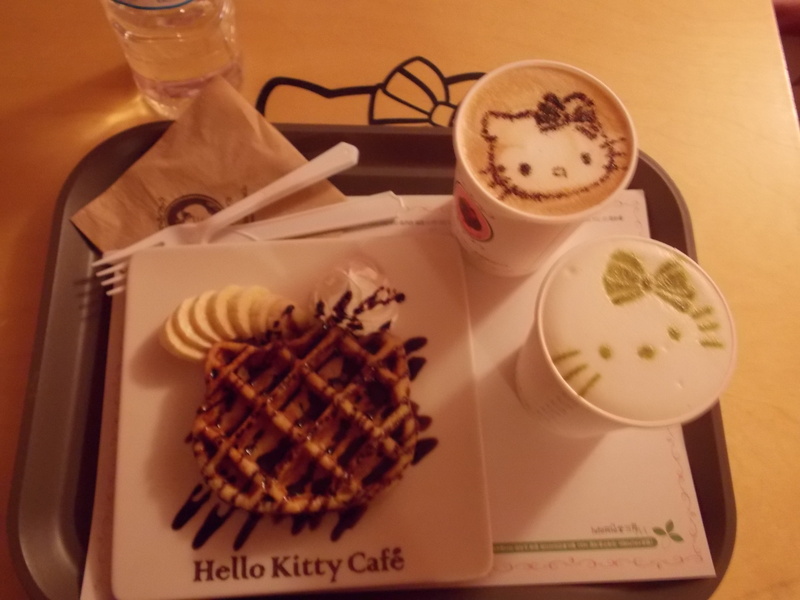 Koreans are quite fancy with their Coffee and pastries . Interiors are fun, tastefully embellished and usually interactive , as there are corners and boards where you can post your sketches and thoughts or anything that comes in mind to leave something by. 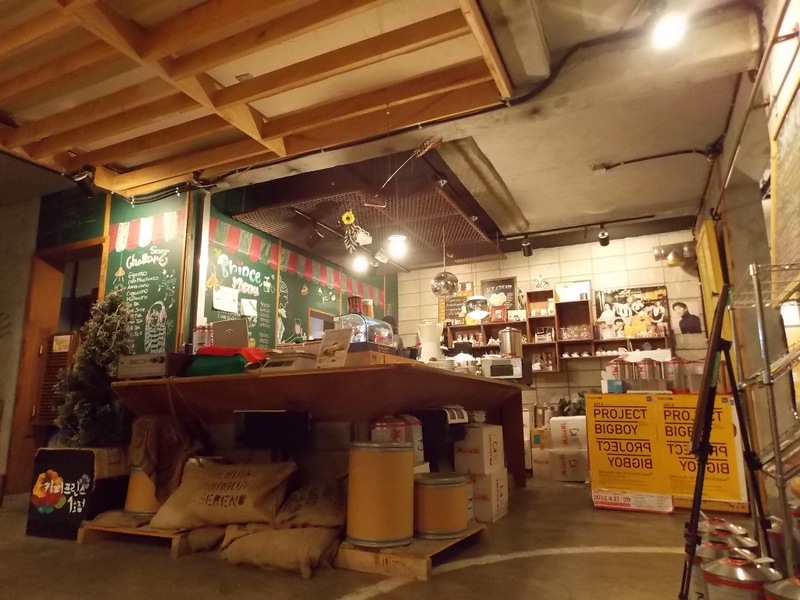 Here are some of the quirky Cafe’s we’ve visited in Hongdae , and all over Seoul . 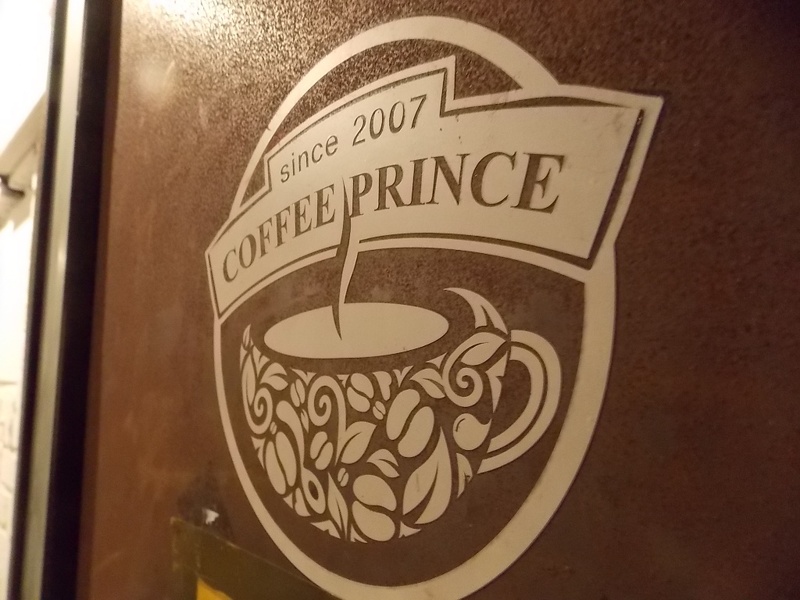 Coffee Prince , Hongdae – where the Kpop TV Series was shot , famous to Filipinos and other Asians. 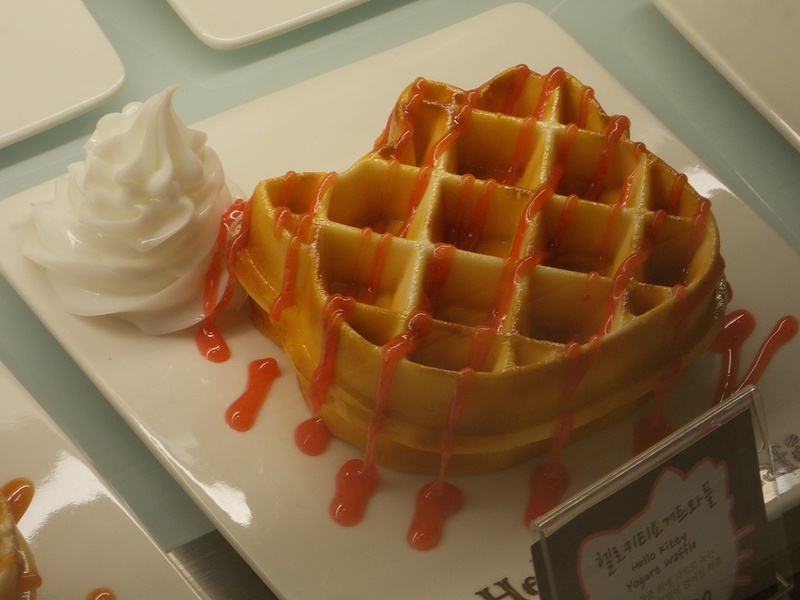 A bit pricey around 4.5 USD per cup, but its worth the money for Yoon Eun-hye fan like me. haha . Coffee was so-so. Cheescake was great. Ambiance was awesome ! 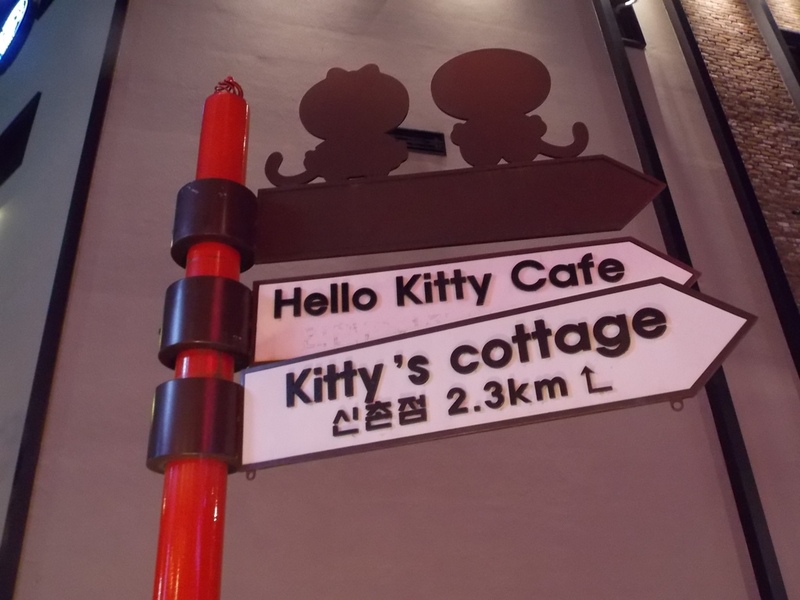 Cats Living Here Cafe, just a stone throw away from Hello Kitty Cafe . 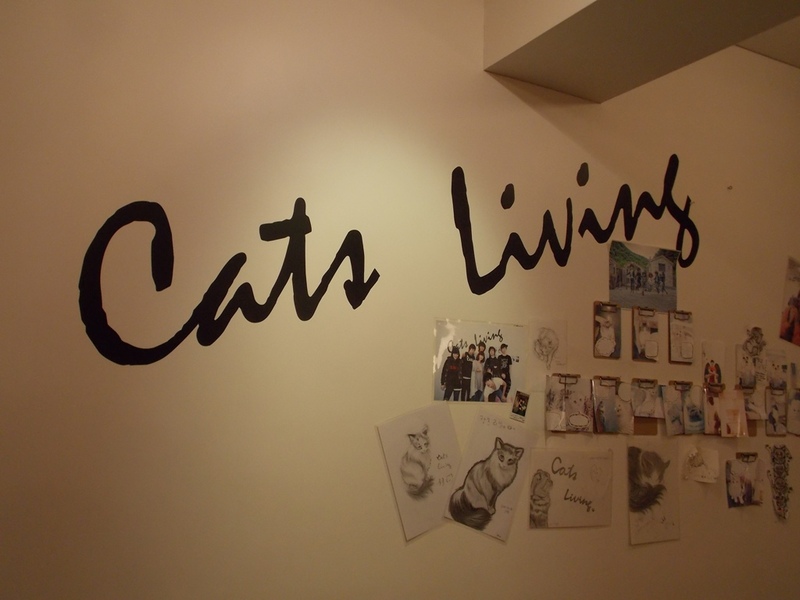 The whole loft is a play pen for cats and is heaven for Cat lovers . 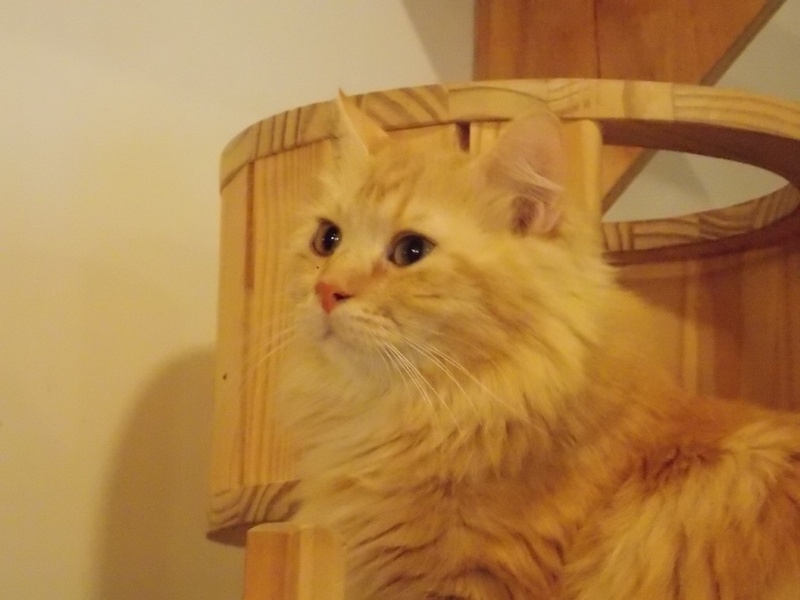 This place is actually a foster home for cats, and customers can also bring with them their loves to play and socialize with other cats, which is cool ! 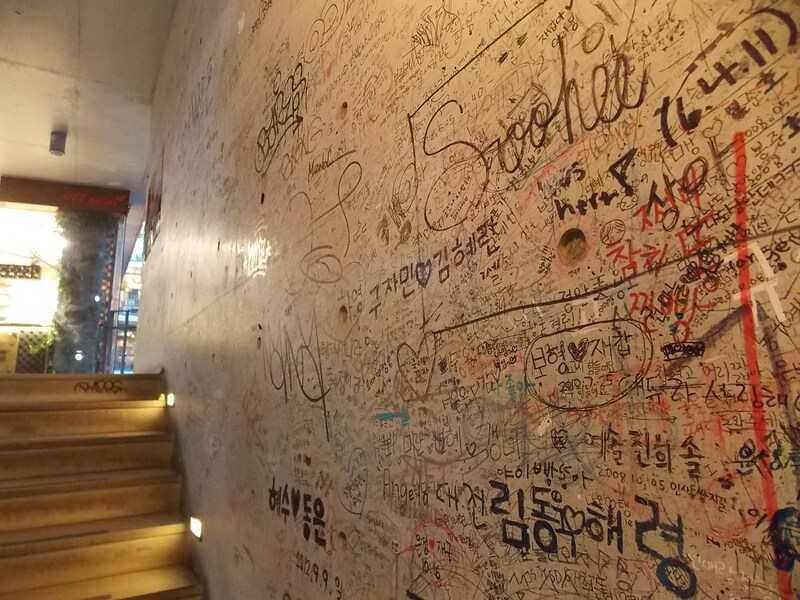 Truly, the korean owner is doing this out of passion =) Entrance fee to the loft is 8000 won (around 7 USD , and that includes a fix ). My friends were not into cats so they had to leave me here for an hour while they go shop hopping. 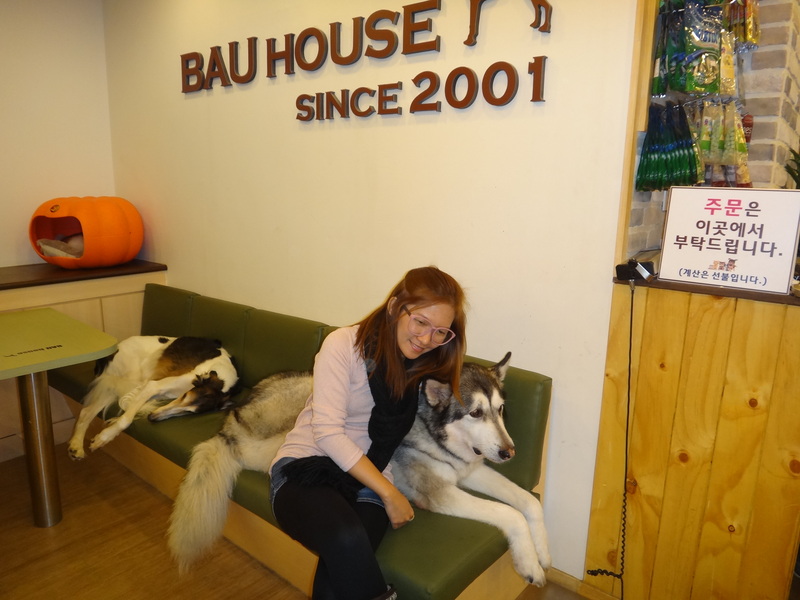 Baus Haus Dog Cafe , near Hapjeong Station . 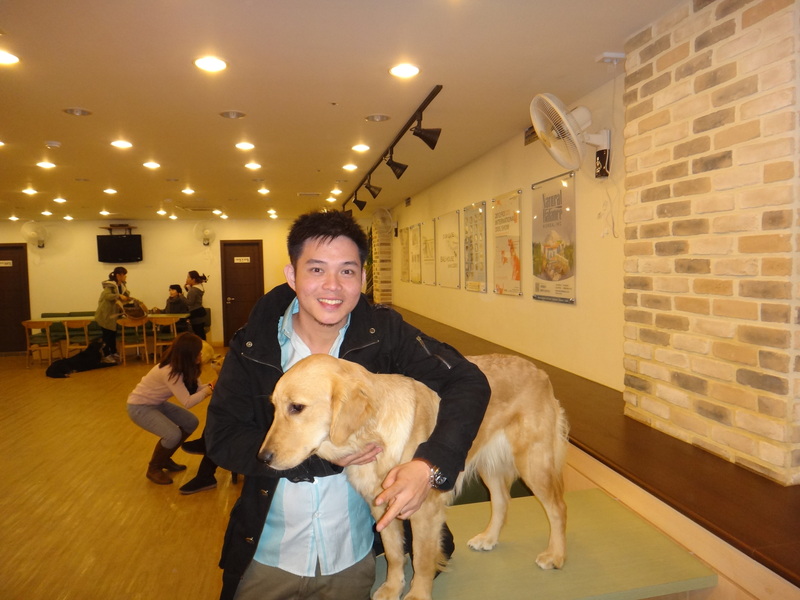 This time a heaven for Dog lovers ! This place is a foster home, and is also day care center for dogs when people go on vacation. 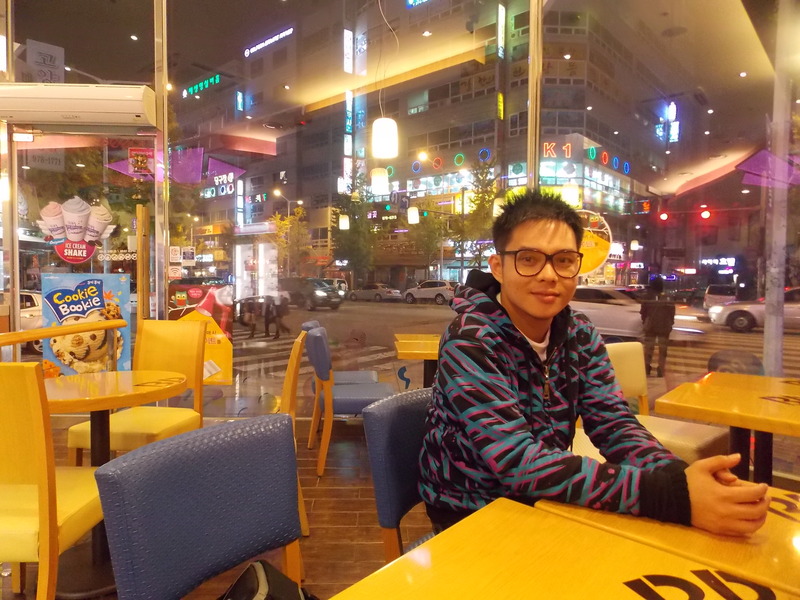 The Rooftop Cafe at Ssamziegil Shopping Center, Insadong . 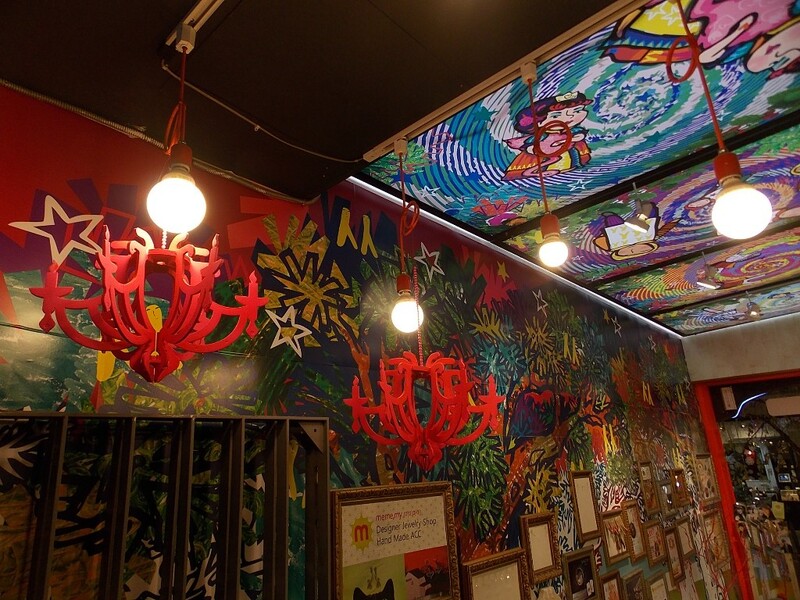 With it quirky Ambiance and a great view at the Deck . 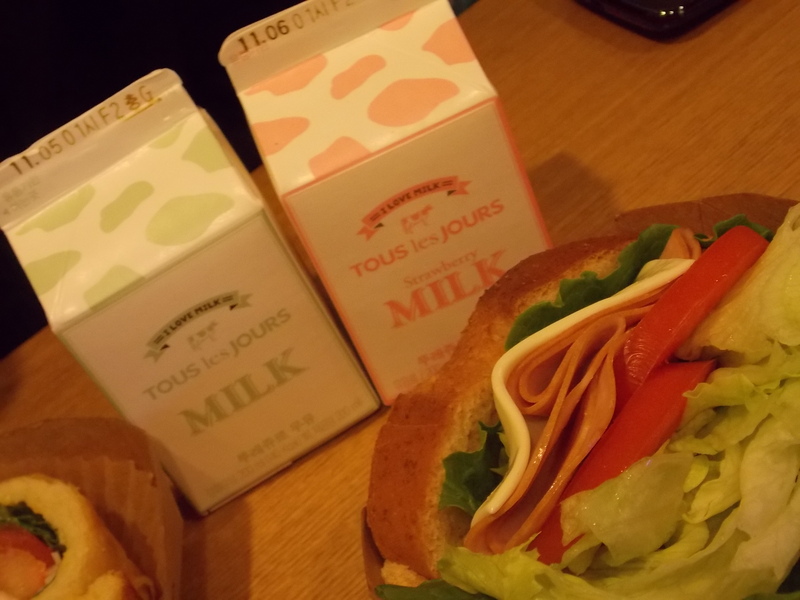 Tous les Jours , Myeongdong . Heavenly Sandwiches ! 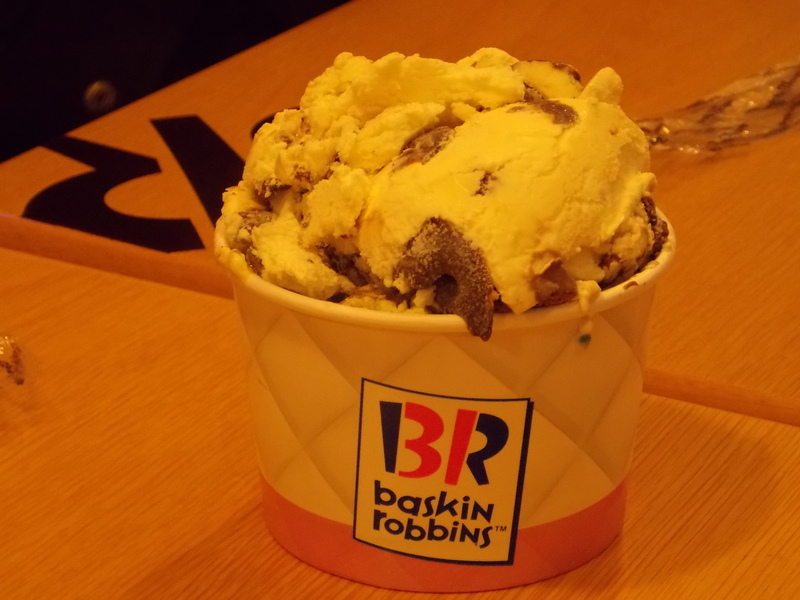 Baskin and Robbins . 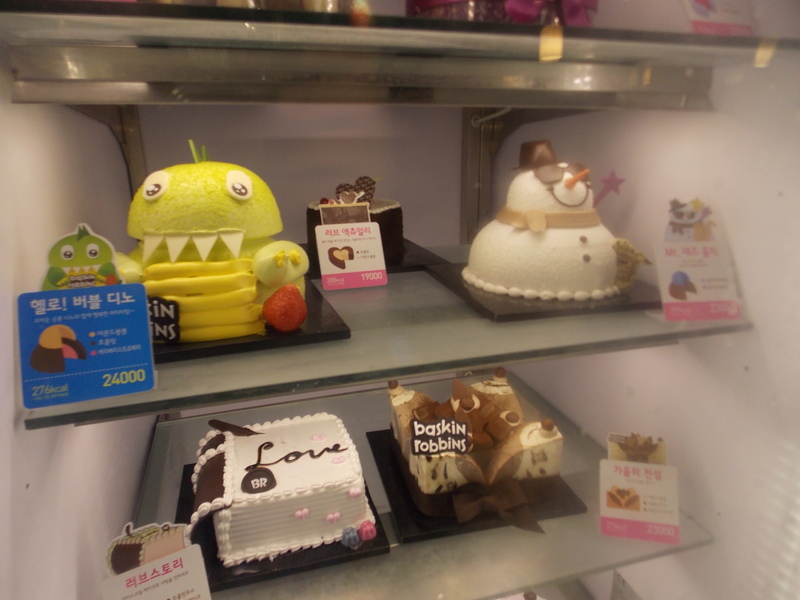 Great ice cream , fun and quirky cake pieces , practically located everywhere in Seoul .